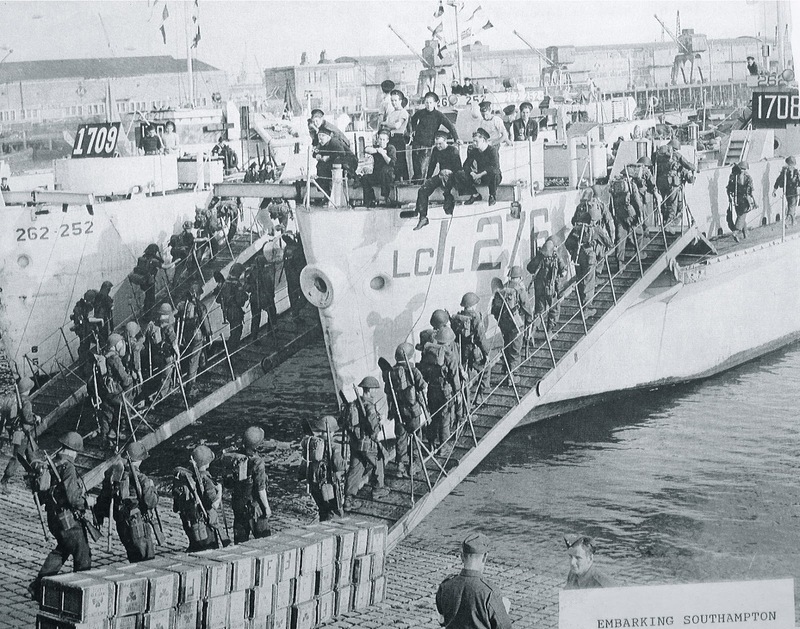 After troops moved to their respective Marshalling Area’s, they then moved to Docks or Loading Points to board their individual ships or Landing Craft (or load vehicles). 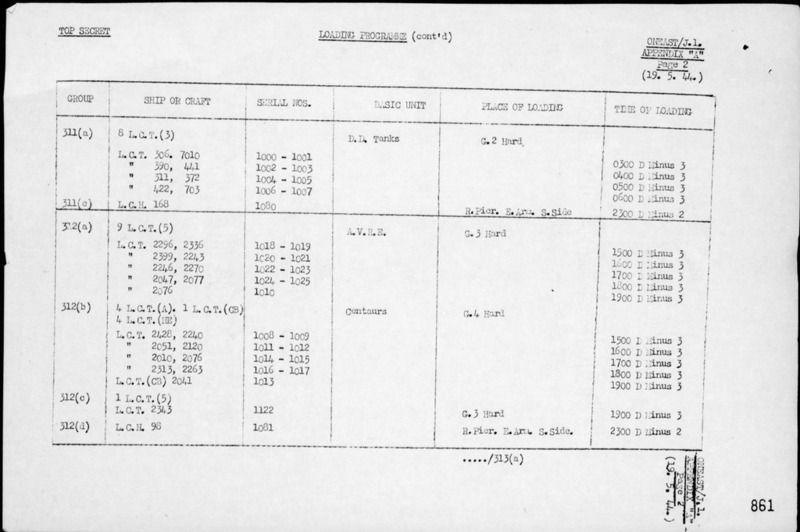 This chart indicates the Ship or Landing Craft and the place of “loading” troops and/or vehicles. 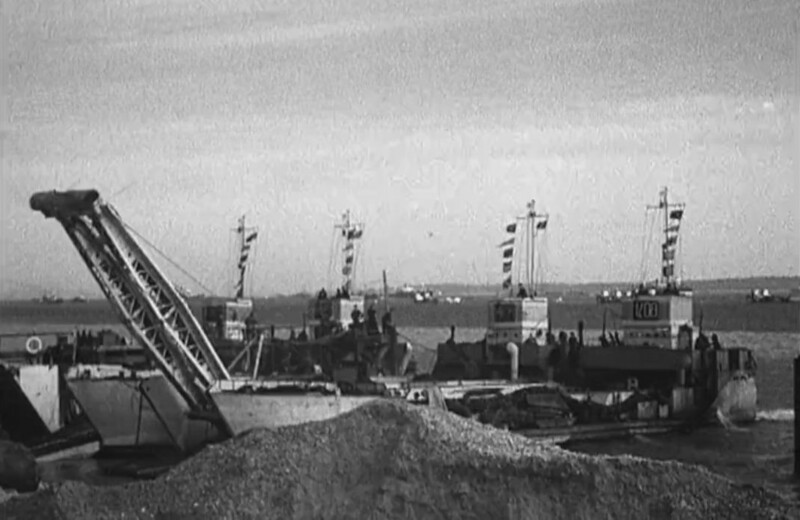 Landing Craft that loaded vehicles were generally loaded at “hards” (beach and harbour area’s that had been prepared to accept Landing Craft”. 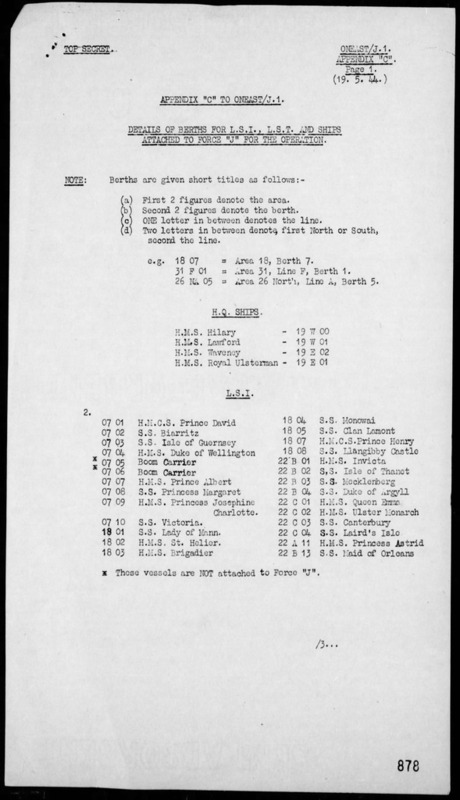 The Larger Landing Ships Infantry (eg HMS Hilary) were loaded by “tender” (much like todays cruise ships) and moved to the ship by “tender”(which could be some of the ships on board landing craft or other landing craft) to board at the ships mooring point. 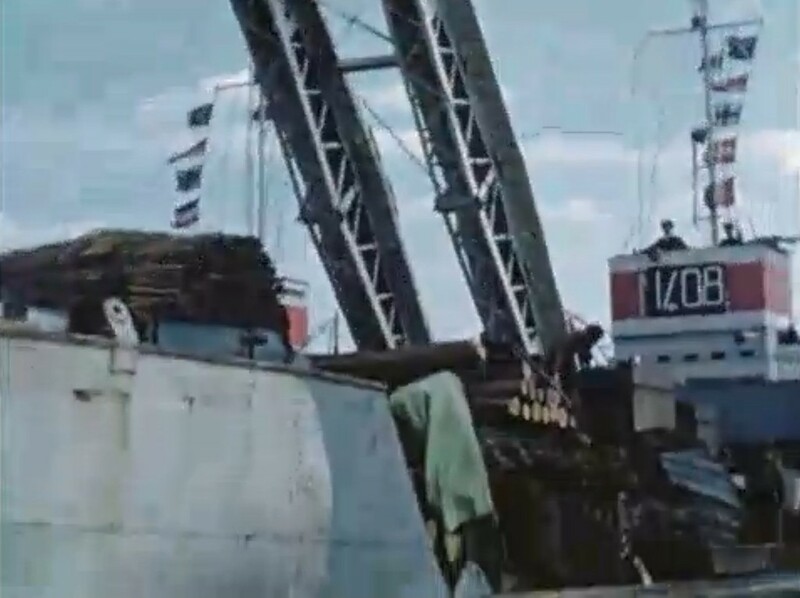 The LTIN number was posted prominently on the SHIP or Landing Craft so that vehicle commanders new which vessel was theirs to load on. In 1942 Stokes Bay was chosen as an embarkation point for vehicles destined for the Normandy beaches as part of Project Overlord, the invasion of France. The whole of the Bay became a restricted area although locals report that they still had some access. Binoculars and cameras were forbidden. All existing buildings at the Bay were commandeered and the bathing huts were all removed. Plans were drawn up to widen and strengthen certain key roads and corners in Alverstoke so that tanks and other military vehicles could more easily access the Bay. This included a section of Village Road. Two new concrete and tarmac roads were planned, one at the east end of the beach and promenade near to the Stokes Bay railway pier and another at the end of Village Road to connect Stokes Bay Road to the promenade near to the Stokes Bay bathing station. 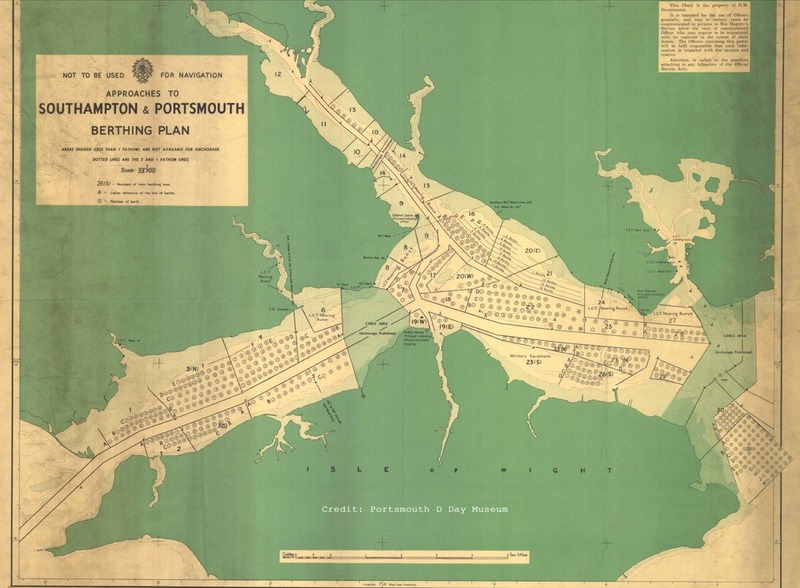 The initial plans indicated that three hards were to be built on the beach between these to points but the final plans used the whole of the Bay and provided four embarkation hards. The length of Stokes Bay Road between Village Road and No.2 Battery was added to the list of roads to be widened and strengthened. Western Way and Jellicoe Avenue were to be Transit Areas for the hards. Contrary to some local belief Jellicoe Avenue was not constructed or widened specially for the D Day embarkation hards. 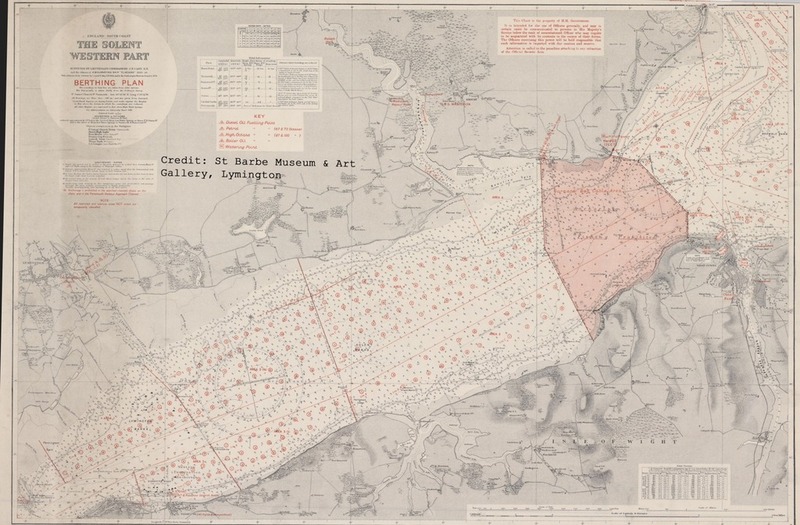 The plans show quite clearly that it already existed, however it was to be used as a tank holding area. In order to allow access from Jellicoe Avenue to the Stokes Bay hards the southern end of it was connected by a new concrete road to Village Road. Each hard consisted of a concrete approach which led on to a sloping mat of flexible concrete blocks laid onto the beach (called ‘chocolate blocks’ by the locals because of their resemblance to Cadbury’s chocolate bars). These were cast on the beach itself using concrete sand and shingle. A row of three concrete and steel dolphins was constructed down the centre of each hard for mooring the vessels (L.C.T. Landing Craft Tank) connected by a scaffolding walkway. The first dolphin was positioned between half tide and low tide, the other two were in the sea. 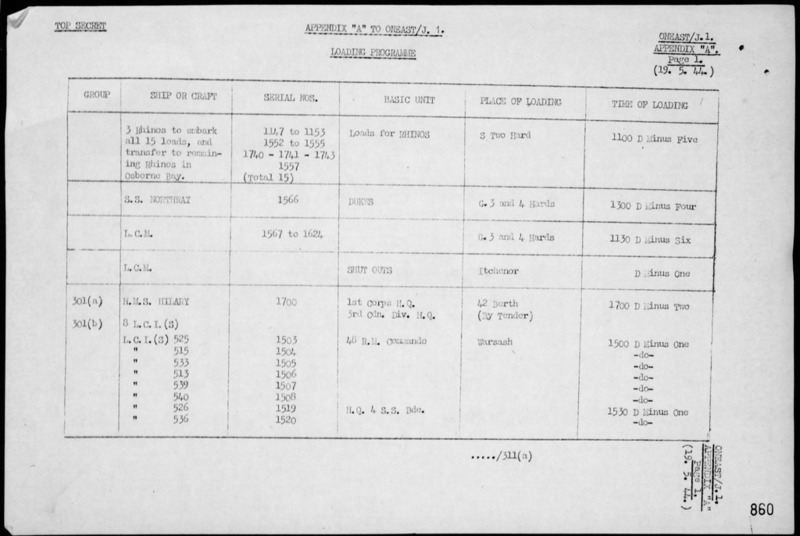 A power cable from a nearby generator provided lights and a fuel supply line allowed fuel for the L.C.T.s to be pumped from a large fuel tank at each hard. Water was stored at each hard in large tanks and a supply pipe ran out to the dolphins. 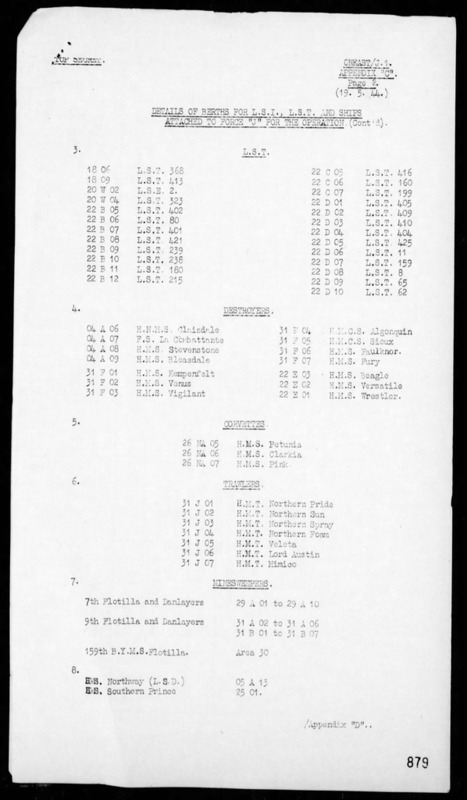 Maintenance staff and reserve crew for Hard G1 were to be quartered in Gomerina Camp, for Hard G2 in Gomerina Camp and Palmerston Way (Fishers, Stokes Bay Cottage and Windbrake), for Hard G3 in Palmerston Way and for Hard G4 in Fort Lane (Cottage by the Sea and Coppers). Ancillary buildings also constructed at each hard consisted of a Hardmaster’s Office, Workshop Naval and Victualing Store, Canteen, Air Raid Precautions Shelter with first aid facilities in a marquee. 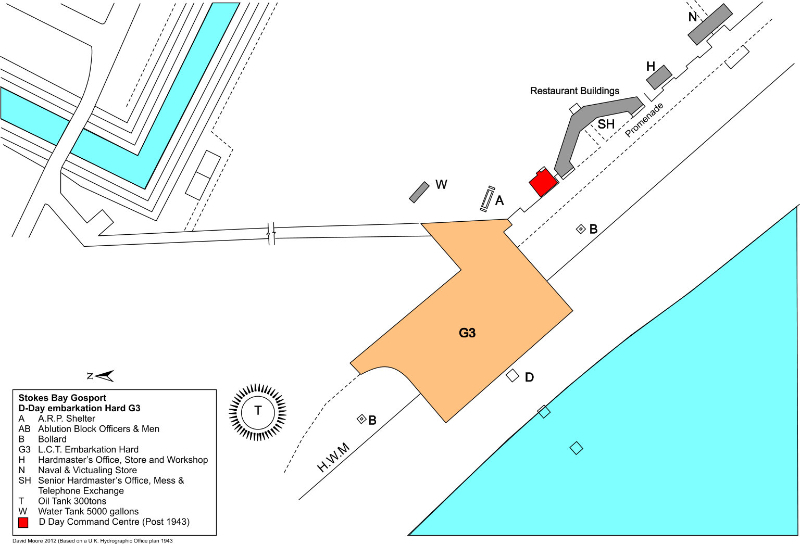 The Senior Hardmaster’s Office, together with a mess and telephone room were situated in the existing Stokes Bay bathing station and restaurant. Just prior to D day a purpose built D Day Control Centre was added close to hard G3, alonside the existing Senior Hardmaster’s Office in the old Bathing Station.